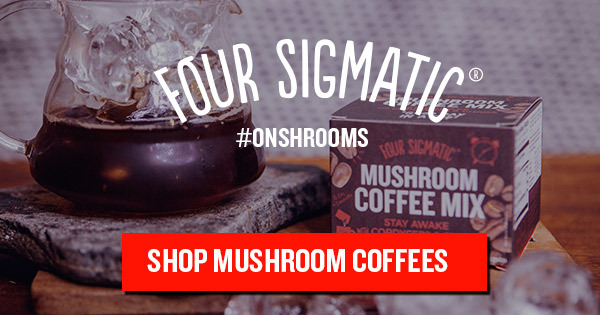 I would like to introduce my favorite coffee / superfood brand, Four sigmatic. 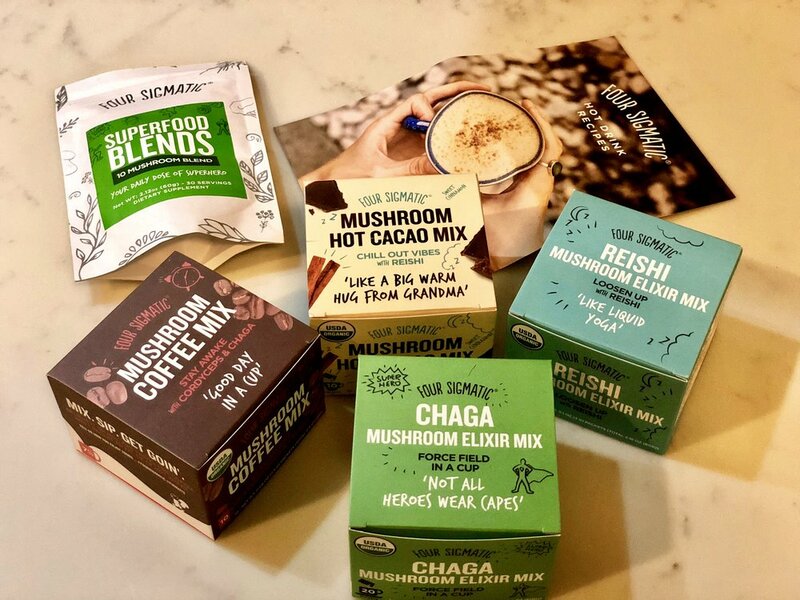 They make drinking mushrooms delicious and easy-to-do with their wide variety of superfood beverages. From Mushroom Coffees to Matchas to Hot Cacao and multi-mushroom Blends. I am obsessed with the everyday magic of mushrooms like reishi, chaga, cordyceps and lion’s mane — Helping me relax, be well, energize and support productivity. Four Sigma Foods is dedicated to democratizing the healing powers of mushrooms by making them accessible to everyone. 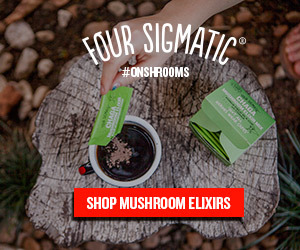 The company currently sells superfood teas, mushroom-infused coffees, and mushroom chocolates, and you can use the discount code “tateki” to get 10% off anything from Four sigmatic. Tero Isokauppila is the Co-Founder and President of Four sigmatic. According to him, “To our knowledge, our grandparents invented the concept of using chaga as a coffee substitute.” So back then, mushroom coffee came about as a result of lack of coffee availability, whereas today it’s becoming popular not because there’s a shortage of coffee, rather because people are looking to get more and more out of their coffee intake. When it comes to antioxidants, fruits and vegetables typically get all the attention. Although these foods are high in antioxidants, there is an even bigger antioxidant powerhouse on the block. One of the top coffee benefits of its rich antioxidant content. Most coffee health benefits can traced back to this high level of antioxidants. Mushrooms also contain significant levels of antioxidants, especially glutathione and ergothioneine. The more antioxidant-rich foods you get in your diet, the more you can protect yourselves from all kinds of harmful diseases and health problems. Oxidative stress is believed to be a big part of a lot of serious and chronic diseases like cancer, diabetes, heart disease, Parkinson’s disease, and Alzheimer’s disease. One of the main reasons the antioxidants found in coffee beans and mushrooms are so health-protective is they provide defense against free radicals we’re exposed to in our daily lives. A variety of studies have found that coffee does not increase the risk of heart disease and may actually reduce it. Mushrooms are anti-inflammatory, anti-viral, gut-friendly, contain high amounts of antioxidants (more than acai, blueberries, and cacao), and support our liver in flushing out toxins. Especially, reishi mushroom is rich in adaptogens that may help improve liver function and prevent liver disease by encouraging waste and toxins to be flushed from the body more efficiently. Some components of mushrooms have been shown to stimulate the immune system. Mushrooms are one of the most powerful functional foods in a growing cancer-fighting and cancer-preventing arsenal. One of the most well-known medicinal mushrooms in Asian healing arts is reishi. There is a data to support the potential use of reishi as, at the very least, an adjunct therapy for colorectal cancer, lung cancer, prostate cancer, and breast cancer. 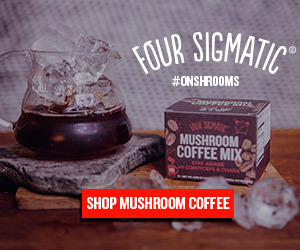 Since caffeine in moderation can improve focus yet in excess produce jitters, mushroom coffee can give that same focus benefit, but with the addition of adaptogenic or medicinal mushroom extracts the likelihood of nervous energy after a cup becomes less likely. A variety of studies have found that coffee consumption can give our brains a boost. In particular, studies suggest that coffee may have a positive effect on memory, mood, reaction time, focus and alertness, and overall cognitive function. Mushrooms are rich in polysaccharides, specifically bioactive ones called beta-glucans or homopolysaccharides. These special polysaccharides act as prebiotics in the digestive system that directly help boost digestive health in various ways. These mushroom beta-glucans have also been shown in animal studies to decrease body weight, glucose levels, cholesterol and triglycerides in diabetic mice. The beta-glucans also appeared to have a very positive biochemical effect on insulin receptors that equated to improved insulin sensitivity. I have tried most of their product line and love how the adaptogens in this coffee help to combat stress and reduce the anxious feeling that coffee alone can give you as well as helping my athletic performance. Superfood Blends is my favorite because I can get the benefits of so many mushrooms in one little serving. This is the product I use the most. I add it to coffee, teas and my morning smoothie. I even add it to sauces, soups and stews for a boost of mushroom nutrition. Lion’s mane mushroom is a nootropic food very popular in traditional Chinese medicine. As visually impressive as it is beneficial, the brain-supporting benefits of the beautiful lion’s mane mushroom have been studied for centuries. With both short-term and long-term benefits, dual-extracted lion’s mane extract not only supports memory and concentration, but also supports cognitive function and the nervous system. Lion’s Mane is believed to offer benefits that go beyond nutrition. In fact, there have been several studies conducted in an attempt to discover Lion’s Mane’s full potential, and the results are very promising. For example, 750 mg daily gave test subjects a significant boost in their cognitive functionality. A small clinical study showcased the possibility that this nootropic can offer reduced anxiety and depression. Like many powerfully beneficial foods, lion’s mane mushroom has been known for some time in parts of Asia to be great for various body functions and conditions. Used in Japan for centuries, the odd-looking fungus is revered by Buddhist monks and understood to be almost a mystical source of nutrition. Chaga is also a powerful adaptogen, helping your body adapt to both internal and external stresses. It is non-toxic and can be taken in large quantities and over long periods, with no ill effects. You can read up on all the medical and scientific research on chaga here. Chaga is one of the most effective immune system tonics you can consume because chaga has proven it to be one of nature’s most potent cancer-fighting and immune-system boosting agents. It includes 215 different phytonutrients, with anti-oxidative, immune-stimulative, anti-cancer, and anti-inflammatory effects. Chaga Elixir is packed with antioxidant properties that support your daily wellness, energy levels, and help to protect your immune functions. This is my immune system booster. Like a morning vitamin, Chaga Elixir is best sipped daily to achieve optimized body and mind. Overflowing with antioxidant properties, a cup a day helps to support whole body health. It’s also my favorite to sip on the road while traveling to get that external force field up and running. Cordyceps are secret ingredient for helping me to perform athletically. Supporting energy levels goes hand in hand with better physical performance as cordyceps are known for keeping lethargy at bay. Containing the active ingredients adenosine and cordycepic acid, as well as a host of phytonutrients, cordyceps has been shown in some studies to increase oxygen utilization, aerobic capacity, and cellular energy. Cordyceps is a main ingredient for onnit shroom tech sport, and it seems to be all the rage right now. You see it in every adaptogen and pre workout supplement. It’s being talked about extensively in the mushroom community and is one of the top superfoods. Well. I am one of those who take this mushroom for pre-workout and it helps a lot. Prized for natural ability to fight free radicals, infections and inflammation, cordyceps are impressive disease-fighting mushrooms that have been used for centuries to reduce symptoms of respiratory disorders, coughs, colds, liver damage and much more. They’re a true “superfood” in the way that they fight the effects of aging and stress, help keep the body free from disease, and also increase energy levels. There are certainly ways you can help yourself find relaxation and support your body’s sleep. I am a big believer in the calming effects of the Reishi mushroom - one of the world’s most researched ingredients. Reishi mushroom, an edible type of medicinal fungus that has been used for various healing abilities for thousands of years, is a true “superfood.” This reishi mushroom tea makes me so relaxed and has really helped me get a good night’s sleep. Because they work as an “immune modulator,” reishi mushrooms can help restore hormonal balance, bring the body back to homeostasis and regulate activity of the immune system, including fighting tumors and cancerous cells. They also have decaf mushroom coffee. Decaf coffee can be a wonderful option for individuals who are sensitive to caffeine. Depending on your sensitivity level, you may want to cycle your caffeine intake for hormonal reasons and/or give your adenosine receptors time to recalibrate. For myself, this is perfect for "night time chill drink", "after dinner drink" or "non-caffeine week drink". Due to going through the extraction processing, decaf coffee does lose some nutrition that regular coffee holds. However, decaf still provides many of the same benefits as regular coffee, even if some are to a lesser extent. 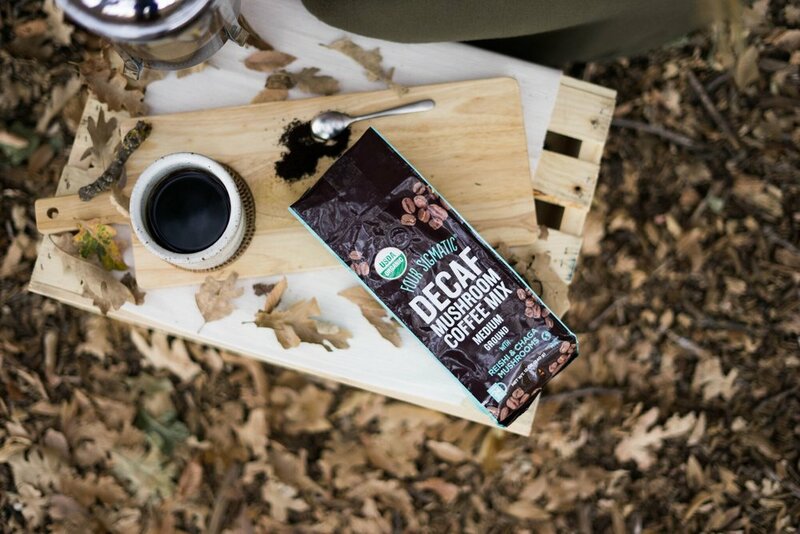 This decaf mushroom coffee gives you the health benefits of coffee along with the impressive benefits of mushrooms. You can enjoy the health benefits. One of the most common perks you get is having energy and focus yet not feeling shaky.